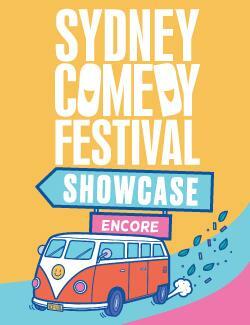 IWannaTicket :: Sydney Comedy Festival Showcase - ENCORE! Sydney Comedy Festival Showcase - ENCORE! The Sydney Comedy Festival is returning to Hornsby for an encore performance due to popular demand, with an entirely new cast of the very best comedians! With an epic comedy line up expertly curated from this year's festival, audiences will need to get in quick for this hot ticket to a massive night of laughs. Expertly curated and lovingly presented the showcase will feature some of the hottest acts of this year's Festival all live on stage for an incredible 2 hours of hard hitting laughter. Dusty Rich (ZAF) - Hailing from South Africa, this unconventional comic is spontaneous, full of energy, and an exhilarating experience. Cameron James - Fast, unpredictable, and full of comedy gold, he's one of Sydney's favourites! Bill D'Arcy - Laid back, likable, a lovable local legend. 7.30pm Doors | 8.00pm Show.